Inspired by God and compiled by Pastors Solomon and Patricia Aroboto. Great Book from Great Minds - A Book that will lift your spirits. This Book will transform your life and this Book will give you victory! 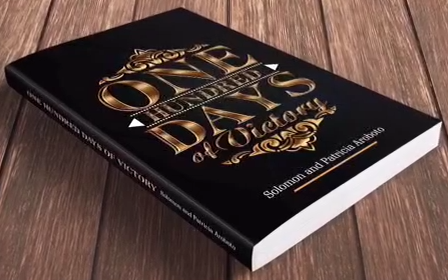 What you need in 2016 is this Book... One Hundred Days of Victory Inspired by God and compiled by Pastors Solomon and Patricia Aroboto. Great Book from Great Minds - A Book that will lift your spirits. This Book will transform your life and this Book will give you victory!